Life is full of surprises, but I like when they're cool and even inspirational. 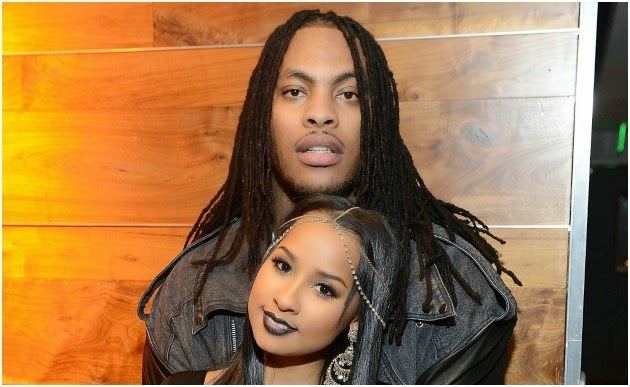 Tammy Rivera is probably most known as Waka's long time girlfriend turned wife, and for her role on Love & Hip Hop Atl. She stepped on the scene that way, but we soon found out there are all sorts of tricks and talents up Tammy's sleeve. She's got an incredible sense of style and has ventured into fashion. She's got her own hair line coming out soon - ZEL by TRivera, and most recently we learned.. the girl can sing a bit. She took to her IG yesterday to sing a bit of a song that was on her heart, and not only was I surprised by her beautiful voice, I was also surprised by the song choice. Tammy went backkkk and grabbed a classic song by gospel great Hezekiah Walker called Calling My Name, it is a beautiful song about being imperfect, but sill feeling God calling you into His love and grace. You can tell the song really speaks to her, as it speaks to so many. We should be hearing more from her with her various ventures, who knows maybe music is somewhere in there.